View the errata to the Second Edition. 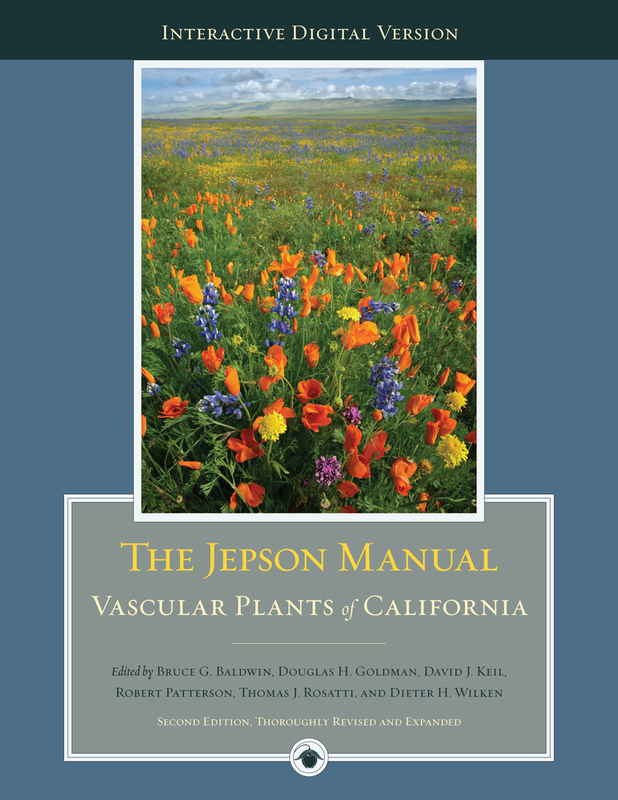 The second edition of The Jepson Manual thoroughly updates this acclaimed work, the single most comprehensive resource on California's amazingly diverse flora. This work integrates the latest science, the results of intensive fieldwork, institutional collaboration, and the efforts of hundreds of contributing authors into an essential reference on California's native and naturalized vascular plants. —Keys link forward and backward to other taxonomic levels. —Plate references in taxonomic treatments link to plates for rapid reference. —Plate captions link to taxonomic treatments. —Individual taxon figures appear next to species descriptions, and full plates are gathered in a special section. —Glossary terms link to any relevant illustrations. —List of families links each family to its taxonomic treatment. —Index is fully linked to taxonomic treatments.